Do you need a reliable service to store many files online? Do you need generous and easily accessible storage space? Then the pCloud service is certainly the right service for you. What are the features of pCloud? pCloud offers you the possibility to access your files very easily at home but also when you are on the move. Do you have a large photo library or a large music library? With pCloud, you can access it from your smartphone or from any device connected to the Internet with a simple browser. The pCloud space can be used in many ways: to store your files of course but also to collaborate with other people by starting access to the files of your choice. 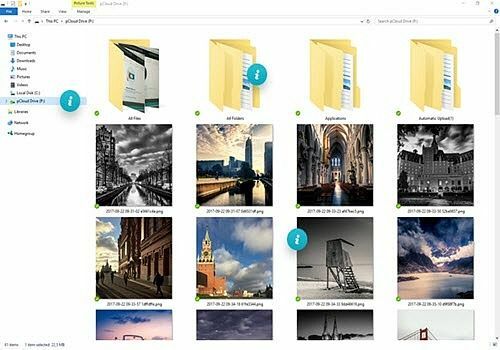 pCloud behaves like a folder on your computer: it uses Windows Explorer to allow you to navigate through the files and choose the actions to perform. pCloud offers a free offer that provides up to 20 GB of storage space. For paid versions: pCloud has a lifetime subscription or purchase. Two capacities are available, 500 GB or 2 TB of storage depending on your needs. Box is an online document storage service that emphasizes collaboration. It offers several features that will allow you to best manage your files.